ITRI Deputy General Director Dr. Ming-Jer Kao (left) receives the award from Mr. Krishna Srinivasan, Frost & Sullivan Global President & Managing Partner. The Taiwan government-backed Industrial Technology Research Institute (ITRI) won the Frost & Sullivan Best Practices New Product Innovation Award 2015 for its In-Line Compact Thermal Analyzer (ICTA). Frost & Sullivan, a global growth consulting firm headquartered in the United States, recognizes the unique technology and the impact that the analyzer can have on the market after carefully analyzing its performance with Frost & Sullivan's patented 360-Degree Research Methodology. Dr. Rajender Thusu, Frost & Sullivan industry principal, points out that while most of the in-line thermal analyzer test equipment used for LED manufacturing available on the market are complex, time-consuming, and allow for testing only in laboratory at the product design stage or post-production, ICTA enables detecting defects in real time during production processes. Dr. Ming-Jer Kao, ITRI Deputy Director General, says this is ITRI's first innovation award from Frost & Sullivan, which proves the institute is capable of developing innovative and marketable technologies that help create new value for Taiwan's industry as well as build global credibility. In recent years, ITRI's optoelectronics projects have placed importance on flexible-electronic, pioneering-lighting, semiconductor, and human-machine interface technologies. ITRI believes the ICTA to become a crucial inspection instrument backed by online analytical capacity for global LED industry to improve output efficiency and defect-free rate of the 100 billion LEDs produced a year. 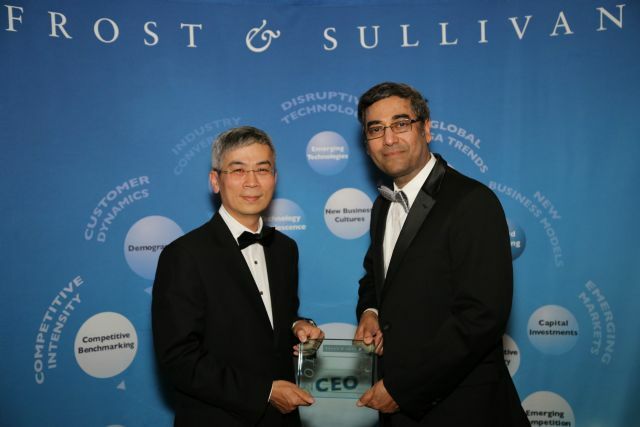 Frost & Sullivan each year identifies what it deems to be innovative products, technologies, companies, and individuals from across the world, hoping to promote innovation in the global economy and to provide a positive force and motivation to award recipients. Other award recipients this year include AT&T, Intel Corporation, and Honeywell Sensing & Control.